Imagine you need to divide a parcel (closed polygon) into equal parts or you want to divide the parcel with specific percentage. To do the accurate division it takes considerable time in your CAD Package like AutoCAD. CKolon IT Consulting Private Limited is an Authorized Partner of ZOHO. Please go through the below link to Sign Up for your FREE ZOHO One ERP Account which has 40+ Applications. 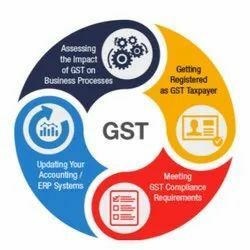 ClearTax's GST Package for CAs is a All-In-One package that will equip you with best GST software for end to end GST Compliance, comprehensive structured training, Certification cousre and online CA profiling to help you grow your CA Practice in the GST Era. Our GST ready ERP helps automate and streamline the end-to-end process of multiple industries such as Manufacturing, Healthcare, Services, Real Estate, Automobile, and many more. With auto GST calculations, our ERP helps organizations promote their business and helps them comply with GST. Billdesk is an online invoicing software that helps you create invoices/dc/po, automatically send GST filing reminders through SMS with detailed reports. Work Benches Technologies Pvt. Ltd.